Pain is a common symptom experienced by many patients. They often have to tolerate severe pain due to poor pain management, specially in Country where EMS services are underdeveloped. Poor pain control in patients is due to ignorance, inexperience, overwork, failure of patients to ask for pain relief and a traditional fear related to oppioids, including fear of addiction and fear of side effects like respiratory depression. Recognition and assessment of pain are important aspect in patient care. The document that we present here below was realized by the Malaysian Government, Ministry of Health (MOH), and it’s a Paramedic’s Guidelines for the Management of Pain in Adult Patients. Pain is one of the most common reasons why patients seek medical treatment, and yet many patients still suffer in pain, despite the availability of many pain-relieving drugs and techniques. In Malaysia, Pain is now one of the 5th vital sign to recognise when paramedics made an intervention. Some of the reasons why pain is under-treated in Malaysia include low visibility of pain, low priority given to pain relief, poor understanding of pain physiology and analgesic medications amongst healthcare providers and patients, as well as fears about opioids and their side effects, including fear of addiction. Above all, poor pain assessment has been identified as the single most important barrier to adequate pain management. Recognizing that improving pain assessment is an important strategy to improve pain management, the Ministry of Health (MOH), through a Director General of Health’s Circular (no. 9/2008), implemented Pain as the 5th Vital Sign in MOH hospitals progressively from 2008 to 2011. Following this, in 2011, the MOH introduced the “Pain Free Hospital” concept, in consonance with the Declaration of Montreal at the International Pain Summit 2010, that “access to pain management is a fundamental human right”. The Pain Free Hospital initiative promotes a holistic approach to pain management, beginning with proper assessment, followed by appropriate multidisciplinary management of pain using pharmacological and non-pharmacological methods, including traditional and complementary medicine. 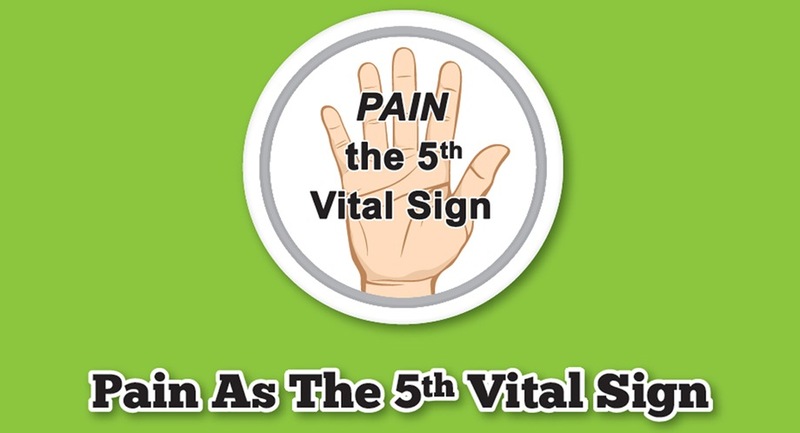 A core requirement for effective implementation of Pain as the 5th Vital Sign is continuous training of all healthcare providers in pain assessment and management. Training programs for doctors and nurses started in 2008, using a standardised training module, and is still an ongoing activity in MOH hospitals, targeting in particular all new doctors and nurses but not forgetting existing staff of all categories. This book is an important resource for this training, as well as for the implementation of Pain as the 5th Vital Sign in the Ministry of Health. I would like to congratulate and thank the editorial team for their hard work in writing this book, and I hope that our MOH staff will make use of it to help them to provide appropriate pain management to those who need it, in order to achieve our vision of a comfortable, “pain free” experience for all patients in MOH hospitals.